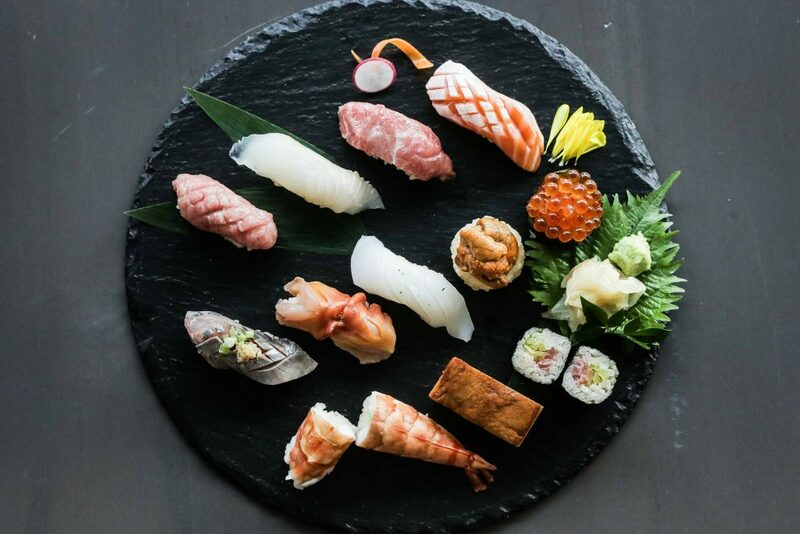 As a sushi novice, I never really paid attention to how my order was served—all I care for is how fresh the slices of raw fish are on top of each carefully shaped blocks of rice. Nevermind those excess decorations like that green film that I guess was supposed to mimic a leaf. For me, as long as it’s on a clean plate, served with a side of wasabi, and soy sauce on the side, I’m good. Sometimes, on a fancy, a little upscale Japanese restaurant, there will be actual leaves where the sushi is served. They are called perilla leaves or shiso as I would learn later. Again, I thought that was purely ornamental. I only found out that it is actually edible after watching this Korean immigrant’s YouTube channel. Okay, so back to that dreaded plastic film. What is it there for, really? That is, apart from contributing to our growing plastic waste. Well, that thing which is actually called “mountain baran” (bamboo leaves) has a very important job namely keeping the flavors on your sushi platter separated. But it is only in recent years that this single-use PET plastic film has been inserted into sushi servings. Originally, people used to use actual leaves, haran meaning leaf (ha) and orchid or lily (ran), in bento boxes to avoid contamination. Bamboo leaves are traditionally used when serving sushi for its antimicrobial properties. Actual bamboo leaves, baran, is traditionally used by sushi chefs up to this day for its antimicrobial properties. In fact, there is even an art form wholly dedicated to the craft of intricately cut bamboo leaves, and it’s called kumasasa. In recent times, especially in countries such as the US and parts of Japan, the bamboo leaves have been ditched for a cheaper option: plastic mountain baran. Not only is it cheaper, but it also lasts longer compared to fresh leaves. 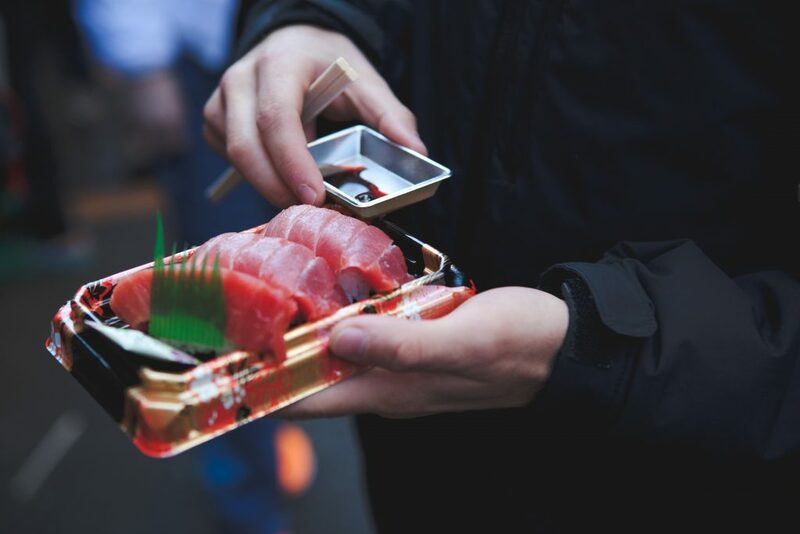 Plus, it is easier to obtain especially for sushi operators in the city. However, this cheap substitute for bamboo leaves doesn’t do much save for separating flavors. So the next time you have your sushi to go, you might want to skip that plastic grass or better yet just eat it there. If you’re getting a sushi party platter, ask for other substitutes like lettuce or our very own banana leaf, which work just as well if your only concern is the flavors mixing together.